And i have seen it mentioned in more than a youtube video but i dont know what it is.What was it? The funny part I find about bac9's critique is that some of the bad elements he points out are found in his own, admittedly far superior (imho) space center design. 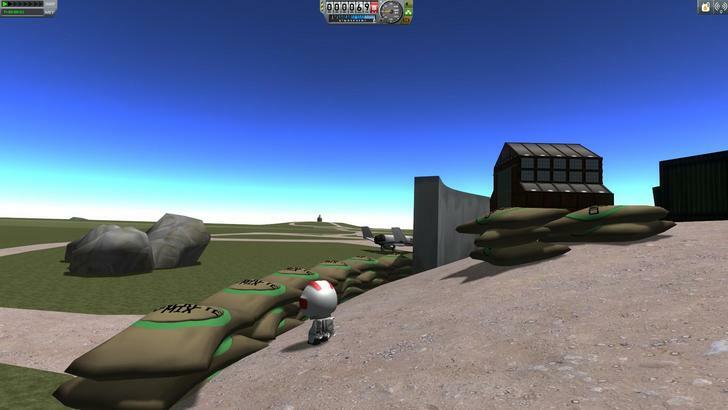 It was subsequently decided to replace it with the tier 1 space center which is what is in the game now. Some people are adamant about it's return to the game. Yeah, the Tier 0 "Space Center" needs to be a thing. When inventing a brand new technology, you generally start in a building that wasn't designed for it, hence "The Barn." You can't have a purpose-built building before the purpose has been invented yet. I had seen pictures of "The barn" before but not the other stuff. I love the sandbags and the motorhomes. 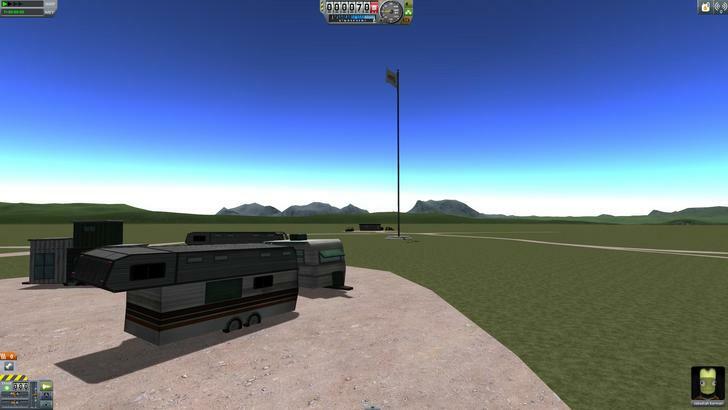 The barn was another bit of the whole "Heh, Kerbals make everything out of trash" craptastic esthetic that didn't fit with the "Starting with a Mercury/Vostok level spacecraft" idea. I'd buy a DLC with a tier 0 of everything and a slew of 0.3125 meter parts. Come to think of it, I'd buy it, too... that could really be fun! I really am still bummed out about the barn. I honestly feel that it was a 60-40 decision but the 40% group was much more sophisticated and eloquent in their opposition. ...but the 40% group was much more sophisticated and eloquent in their opposition. They should use it as a new launch site next to the big lake and river system on the continent to the east of KSC. He probably learned those things by making the same mistakes. I don’t think so - I just remember them being louder. I mentioned on another thread that KSP has turned into S. We’ve still got the space part but the Kerbal part and the Program part have been lost along the way. Left lying by the side of the road if you will. Looking back on it, to me, ditching the Barn was the point at which Squad gave up trying to make a game out of their sandbox. I agree: put it there for the people who want it, let those who don't ignore it; also, it could also be findable as an anomaly. I mean it does look very "Kaustralian" (sorry) space program to me. Maybe it can give the rather incomplete looking Woomerang launch site a makeover. Optional would be just fine. Foisting that eyesore on everyone every time they started a new game would be anything but. I suspect the craptastic LOLKerbals aesthetic would have been forgiven had the execution looked halfway professional, but it didn't. Good riddance, but I'd be open to another attempt - with less amateur-hour art and more fitting into the rest of the game. Nobody launches mercury capsules from a trailer park. Foisting that eyesore on everyone every time they started a new game would be anything but. I'll make it clear. It's not necessary the concept I'm against. (If you get rid of the burnt out car husk.) It's the execution. It would have been the worst art currently in KSP. I just looked over it again to try and give it a 22nd chance. I just couldn't do it. It's not necessary the concept I'm against. It's the execution. I didn't really care about the execution. The concept just doesn't fit. I can see this point as well. Unless they decided to add sounding rockets and changed the tech tree to probes before crewed. To be honest, I found bac9's critique to be overly pedantic. But I don't have a background in level design or any artistic sense, and I also don't zoom in on KSC buildings that much to care if a texture was scaled wrong. Others are entitled to their opinion that the barn was poorly executed. Maybe they have more refined taste or something. Personally I found the barn to be charming. In the end, does the barn really have that much effect on the game one way or another? I'm not personally enjoying KSP any less with or without it. I honestly think people have made a mountain out of this molehill.